Save money on appliances and fixtures with Center Point! 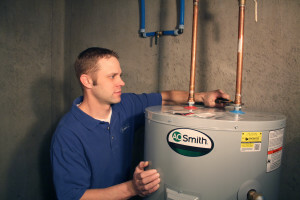 Get the most value on replacement water heaters, dishwashers, garbage disposals, water softeners, and more with exclusive coupons and rebates for your project. Offers vary, so ask us how we can maximize the value of your new fixtures and appliances.